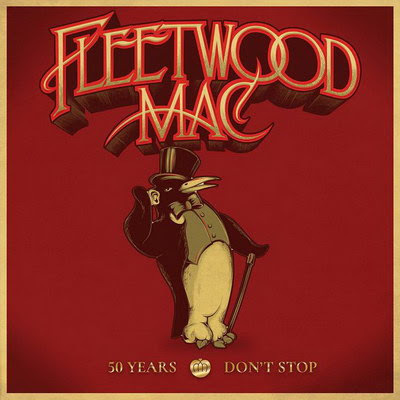 Fleetwood Mac’s 50th anniversary collection, “50 Years – Don’t Stop”, has debuted on the UK charts. The Official Charts Company reports the band’s first-ever career-spanning set enters the UK charts at No. 15. The new compilation touches on every era in the group's history while highlighting the work of the many musicians who have recorded under the Fleetwood Mac banner over the years since Peter Green, Mick Fleetwood and Jeremy Spencer first formed the outfit in London, UK in 1967. Marking 50 years since the release of the band’s 1968 self-titled debut album, “50 Years – Don’t Stop” delivers 50 tracks across 3-CD and 5-LP packages, and is accompanied by a 20-track single CD version, with both available on digital download and streaming services. Fleetwood Mac are currently playing dates on a recently-expanded North American tour that sees the addition of guitarist Mike Campbell of Tom Petty’s band and Neil Finn of Crowded House/Split Enz fame in place of longtime member Lindsey Buckingham following his firing earlier this year. 03. "Need Your Love So Bad"
05. "Man Of The World"
06. "Oh Well - Pt. I"
08. "The Green Manalishi (With The Two Prong Crown)"
09. "Tell Me All The Things You Do"
06. "Go Your Own Way"
09. "As Long As You Follow"